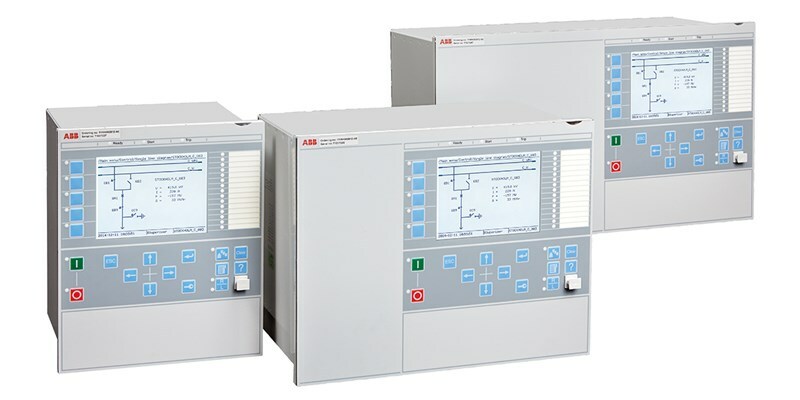 We are happy to share that ABB’s flagship protection and control intelligent electronic devices (IEDs), Relion® 670 and 650 series version 2.2, have been awarded the KEMA type test gold certificate. The gold certificate is the highest category certificate issued when all tests are carried out successfully in accordance with a recognized standard, the technical drawings have been verified and a visual inspection has been carried out. 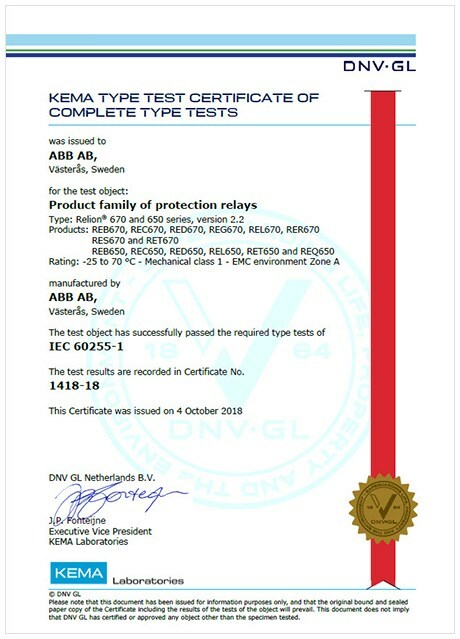 KEMA Laboratories are globally recognized for independent accredited testing and inspection services to power equipment manufacturers, utilities and power companies. With this globally acclaimed endorsement, ABB’s protection and control IEDs have continued to enhance their technological proficiency to deliver reliable and future proof solutions for customers. This is a proud achievement for us at ABB and we encourage you to share this success with your customers and stakeholders. Links to the type test certificates can be accessed below.